Thinking I may go down to California to run some trails (some subset of things like Rubicon, Dusy, Fordyce, Swamp Lake, etc., pretty open to options). Anyone interested? I know it's a ways out but just seeing if there's interest. Last edited by snow on Wed May 10, 2017 6:12 pm, edited 1 time in total. I have wanted to do the rubicon trail. Im sure I can get that time off also. Great, let's do it! Pending there's no major issue with the Jeep at the time, I'm in for sure. Now we need to find another 2-3 people and it should be a good time. I would love to go back down but can't see that happening with my current plans. Can I recommend Barrett Lake if you haven't put it on your list? In my experience it is the most consistent technical trail I have been on down in the area plus a great lake to camp at and a short hike out to a plane wreck that is well worth the effort. I am not familiar personally with Dusy or Swamp Lake so I can't compare to them but am familiar with the Rubicon and Fordyce in comparison. I don't think I've met any of you guys yet, but might be able to head down if the invite is still open. We missed KOH this year and never been to the Rubicon. Yes, you can definitely come. It will be far too early on July 4th to do the Dusy or Fordyce. Too much snow. Even the Rubicon could be snowed in this year. The internet isn't all rumor and innuendo, it just seems that way. That's a good point on snow. I'm no longer locked into that week, changing jobs so I'll just be taking time off regardless of when it is. I'd be fine to push it to August. Interested people were Nate and gtxracer, any week in particular good for both of you? The Tahoe ski resorts are all around 45-50 feet of cumulative snow this year with standing totals of 20 feet or so. As Scott mentioned, it will likely be there deep into what we call summer. 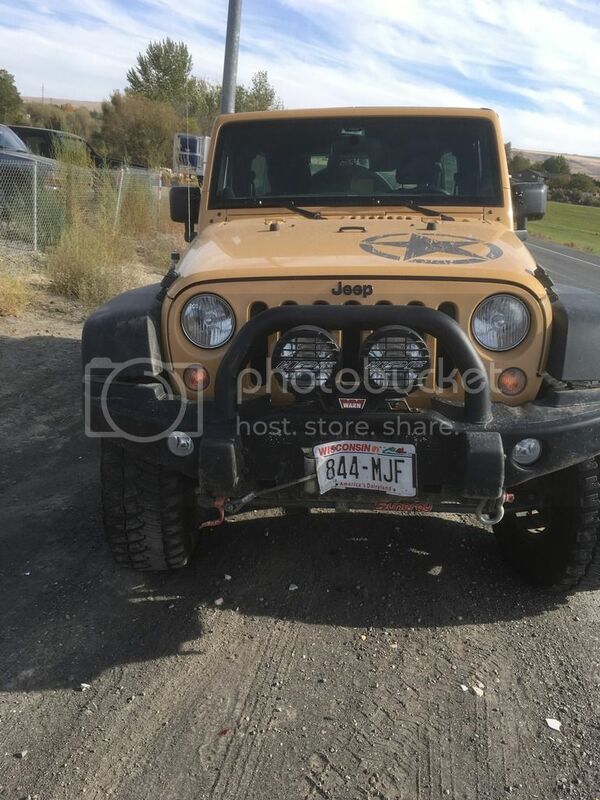 Keep in mind that the Rubicon is at 6500 feet of elevation and others go higher yet. We can wait a bit longer but I'll need to commit to a time at some point. I'd say we plan on mid-August (12th-20th), there'll probably be things down there worth running, and if not we can go somewhere else in the huge country filled with great wheeling opportunities! Got Aug 12-21 off work, going to head down there. Anyone else in? Would like to get some people fairly committed to going! August might be better for me also. I really would like to do the rubicon trail. Will it be open? No problems at the passes or snow banks? Ill let you know mid July. I have a trip planned with some buddies around then. I would be skeptical of the Fordyce though. With the snow melting I'm wondering how much water they will be letting out. I'm about 80% committed at this point. Been wanting to go to the rubicon for a long time. Great, glad to see a few people interested! I agree Fordyce seems unlikely. And I'd only do that one if they drop water levels real low, not at all interested in risky water crossings. Happening in a month, who's in for sure? I hear the Rubicon is essentially snow free already and plenty of people are making it through. I'm sure other trails will be clear too. Depending on what happens in the next few weeks determines if I can get away from work. ISO inspection so if it goes well I'll have the time off. New here. I'm Bill From Oak Harbor WA, I got my 96 XJ in March. I've taken it out to check its capabilities through Walker Valley, All through Manastash, The mud pit near Darrington and lots of off the grid spots. it has handled well and have spare parts in toe. I don't have any wheeling buddies. I mostly just hook up with strangers when i get on trails. Anyway, Me and my son decided we are doing the Rubicon and it would be wise to find some trail buddies. This was the first place I looked. If you still going? we are for sure and would appreciate it. How is your XJ setup (tires/axles/lockers etc.)? I'm meeting up with at least one person to run part of the Rubicon on Monday (Lake Tahoe side hopefully to Buck Island Lake, and then back out same day). We'll be moving pretty fast. Unconfirmed at this point but hopefully meeting someone to run Fordyce later in the week. - HPD30 axle with ARB 4.88 gears, alloy shafts and inner sleeves. - D44 rear with ARB, 4.88s, alloy shafts and 1995 ford explorer disk brake conversion. - Durango gearbox and WJ pump. Last edited by poester on Mon Aug 07, 2017 8:19 am, edited 1 time in total. I am planning on 2-4 days on the Rubicon then whatever trails on the way up. I have no time limit. Reno 4X4 is going out next month. I am going to try and hook up with them. I go out weekly in WA, all year round exploring old fire / logging roads I have rediscovered some awesome places and am always open to road trips in & out of WA, so keep me in mind. I am retired navy and am just screwing off for a couple years. Ok, it doesn't look like I'll be doing a multi-day Rubicon Trail this trip due to the plans I've already setup, so if you're set on that enjoy! Looks like I'm out for this trip, I'm currently selling my tow rig and camping setup. If someone happens to be hauling a double-rig trailer, maybe I can tag along and split the fuel bill. Bucket list is gonna have this one on it for another year I think. Sorry to hear that. As of right now everyone else I'm meeting lives down there, and I'm just driving the Jeep so no trailer space is expected. Hey Bill we are heading down labor day week if you want to come with us?